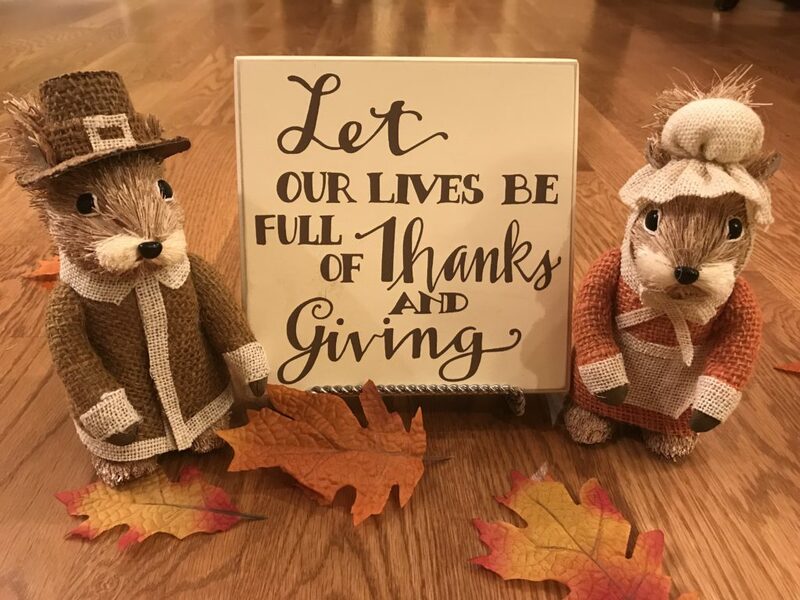 Have you noticed how Thanksgiving does not have a place in the retail industry that psychologically scripts our anticipation of each holiday season? Store décor and merchandise has been focused on Christmas since at least September. So, what on earth happened to Thanksgiving? Think about it – there is little money (really – none!) to be made from being thankful. If we are thankful, then we tend to be content. If we are content, well… we are not going to feel a pressing need for things. The concept of “enough” does not translate into profits, except for our soul and our peace of mind. 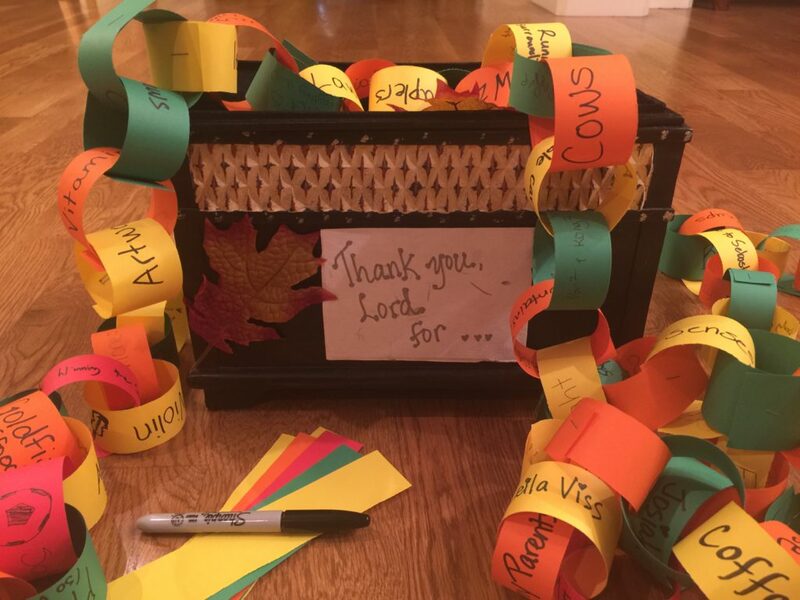 A few weeks ago, I turned a wooden container into a “Thanksgiving Box.” The children cut out strips of colored paper and we put them in the lid with some pens. Each day or whenever anyone thought of it, we have written down something for which we are thankful. The goal is to have as many strips as possible to make a “Thankful Chain.” Tonight we started stapling the strips together. Here’s a pix of what we have so far. May each of us, in our own way, discover the precious secret of “less is more” in a culture of over abundance. Wishing you the gift of simplicity this season. I love this idea! An attitude of gratitude can be infectious even within your own heart. Once we begin seeing how much we really do “have,” the need for more more more dries up completely. Each day of November I have posted something I am thankful for and it really has changed how I am viewing circumstances. One thing I am most grateful for is….YOU! Amen, sistah! Thank YOU for sharing your continual chain of wisdom and overarching perspective on life. You are good for the soul. Whoa–did I see a familiar name on one of those links 🙂 You are too kind.